Brad Widdup says Sandbar has every opportunity to measure up to Sydney’s best three-year-olds. Golden Rose hopeful Sandbar has never been a flash worker on the training track. “He’s no superstar. Early days, the trackwork riders would say to me, ‘I can’t believe he’s competing in these sort of races’,” trainer Brad Widdup said. Widdup, who learned his trade under Peter Snowden and John O’Shea, has been training in his own right for a short time but his methods are thoughtful and considered. He has deliberately given Sandbar a month between his first-up win in the Rosebud and Saturday’s second assignment in the Run To The Rose. Widdup has booked Corey Brown to replace winning jockey Kerrin McEvoy on the dual stakes winner because Brown could commit to both Saturday and the Golden Rose ride later this month. He has also mixed up the three-year-old’s track work, taking Sandbar on the odd road trip for his conditioning gallops. 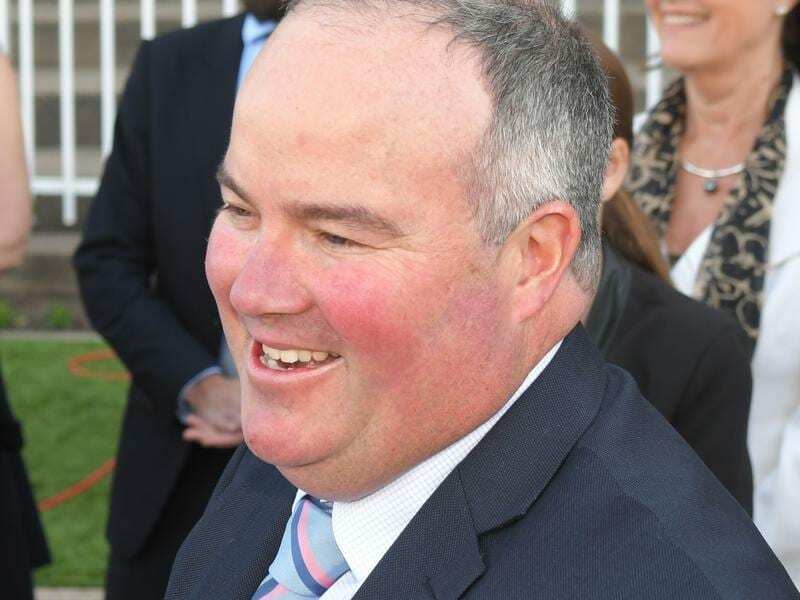 “I’ve given him some gallops away from Hawkesbury and he’s definitely a lot sharper doing that and his work has been excellent,” Widdup said. Despite his Rosebud victory, Sandbar continues to take a back seat to higher profile rivals and is a $10 chance for the Rosehill race and $26 for the Golden Rose. The presence of the undefeated Graff and JJ Atkins runner-up Zousain on Saturday will offer a stern test of Sandbar’s credentials for the $1 million race but Widdup can’t fault the Snitzel colt. “I do think he’s flying under the radar a bit. Obviously he’s got to step up and perform but I couldn’t be happier with him going into Saturday,” Widdup said. Sandbar is proven over 1200m but some might question whether he can extend his brilliance to 1400m in the Golden Rose. Widdup doesn’t believe it will be a problem. “I’m more than confident he can run the seven furlongs but we’ve just got to see if he’s up to the quality of the other colts,” he said.